Barbed wire has been the standard of cattle fencing for years, despite the limitations of service life as a viable ranch fence material. 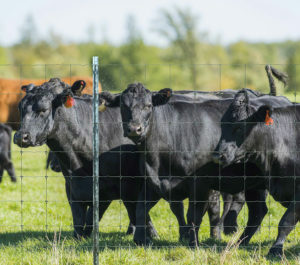 Now there is a new cattle fence solution for ranchers and property owners in Texas, Oklahoma and Louisiana: High tensile steel mesh fencing, designed to provide greater security and a long service life. This means lower overall long-term expenses, both in terms of replacement costs and maintenance. With a wide range of height and mesh pattern options, Tejas Ranch & Game Fence is capable of installing the livestock fence that best suits your needs and is assured of providing you a ranch fence with many years of service life. We offer additional features, such as Predator Control barriers and water gap installation, giving you the ability to customize your cattle fence to suit virtually any requirement. For the ultimate steel mesh, we can provide you a profile featuring a zinc-aluminum coating that is highly resistant to flaking, cracking, splitting or separating from the steel. This Class 40 Zinc-Aluminum coating is the highest degree of protection available for high-tensile steel mesh. 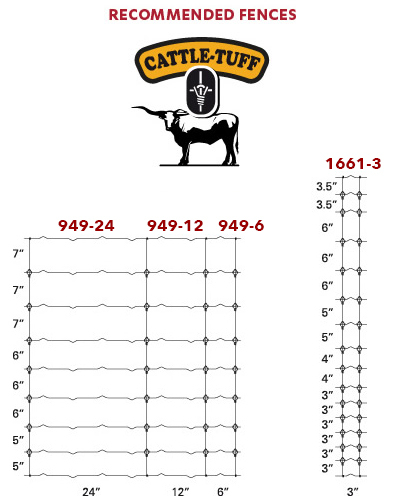 Time to protect your valuable cattle. Request an estimate from Tejas to get started. The Class 3 galvanized coating on our fence materials is proven to last three times longer than Class 1. The fixed knot design of our fence mesh provides greater strength and performance than hinge-joint mesh. The varying mesh spacings, with smaller “holes” toward the bottom of the fence, helps ensure greater security from unwanted animals while maintaining an affordable fence solution. The steel mesh is designed to withstand stresses without losing shape or strength. 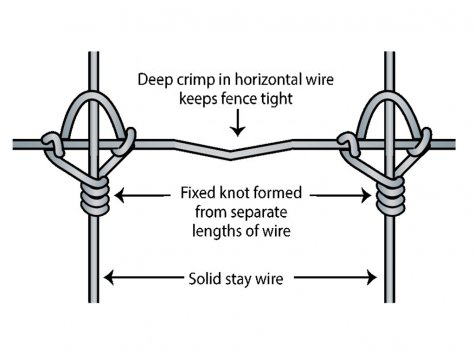 The crimps in the horizontal wires absorb pressure – both during installation and from animals. Whether your goal is to keep animals within your property or keep predators out, our product solutions and expertise sets the standard in high game and livestock fences.